After the ball drops in Times Square on New Year’s Eve and New Year’s resolutions are made, many estate planning professionals finalize their travel plans to Orlando during the second week of January. No, it is not to see Mickey and Minnie Mouse at Disney World or check out the latest ride at Universal Studios – it is to attend the University of Miami’s 51st Annual Hecklering Institute on Estate Planning, the largest Continuing Legal Education conference in the country. Over 3,000 attorneys, accountants, trust officers and other financial advisors gather for a week in Orlando, Florida to listen to the top speakers in estate planning. The conference kicked off with a panel discussion on recent developments by Dennis Belcher, Ronald Aucutt and John Porter. In addition, Catherine Hughes from the IRS joined the panel this year. I have to give Catherine Hughes a lot of credit for presenting in front of this crowd and did a great job discussing the issues when the IRS has to implement the legislation passed by Congress or executive orders from the executive branch. The two topics of primary interest during this session were the proposed regulations under IRC 2704 relating to valuation discounts and the possible future repeal of the estate tax. According to Catherine Hughes, over 10,000 comments were received by the IRS in response to the proposed regulations under IRC 2704. According to Catherine Hughes, it was not the intention of the IRS to eliminate all minority discounts with these regulations. Although many of the abuses of valuation discounts were with non-operating entities funded with marketable securities, these regulations do not distinguish between operating and non-operating entities. These regulations created a new group of disregarded restrictions to be ignored to calculate discounts, such as restrictions to limit an individual’s right of liquidation. In addition, for a non-family interest to be considered in valuations of family-controlled entities the interest should be significant to the family, significant to the non-family holder and the interest should be a long-term interest of the non-family holder, more than three years. Catherine Hughes stated that given the numerous amounts of the comments that the regulations will not become effective by January 20th, President-elect Trump’s inauguration. 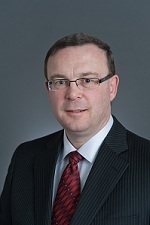 For 2016 gift tax returns, for those individuals who made gifts after the date of the proposed regulations that are subject to valuation discounts preparers making disclosures of the transactions may consider disclosing that the valuation does not consider the impact of the proposed Section 2704 regulations, in light of the fact that the regulations do not apply to transfers made before the regulations are finalized. To start the three year statute of limitations for gift tax returns adequate disclosure must include “[a] statement describing any position taken that is contrary to any proposed, temporary or final Treasury regulations or revenue rulings published at the time of the transfer”. The discussion then moved to predictions and possibilities of the proposed regulations. Recently there has been proposed legislation, both in the House of Representative and Senate, not to have the regulations become final. As one of the panel members noted, tax law is in danger when a member of Congress can cite the Code Section by name. In addition, the proposed regulations were instituted under the direction of the Treasury Department of President Obama which the incoming President Trump has stated he plans to remove those executive orders burdensome to business. However, if these regulations do not become final then the valuations rules will still have the prior uncertainty of these rules based on case law history. The conversation then turned to the prospect of the repeal of the estate tax law. As Dennis Belcher stated, things are never as good or as bad as it seems. Both the President-elect Trump and Republican Congressional blueprint propose to repeal the estate and generation skipping tax. However, both proposals are silent to the gift tax, which is seen as the backstop to protect the integrity of the income tax. In connection with the repeal of the estate tax, President-elect Trump’s proposal calls for the elimination of step-up in basis for estates over $10 million where this is not mentioned in the Congressional proposal. It is expected that there will be some tax reform enacted this year since the Republicans now control Congress and the executive branch. However, given that the Republicans do not have a 60 vote majority in the Senate; it is likely that any tax reform legislation will need to be passed as part of a Budget Reconciliation bill. While the estate tax only applies to .2% of the population of the U.S. and provides less than 2% of the revenue of the budget, President-elect Trump’s proposal of repeal of the Affordable Care Act, increased infrastructure spending and immigration reform are all significant expenditures to the budget which will need revenue to pay for. Estate tax repeal was part of the 2001 tax law which sunset in 2010 and was only effective in 2010. When the 2001 tax act was passed, there was an expectation of future budget surpluses. This is not the current environment today where there are projected deficits each year in the near future. It is unknown where estate taxes repeal ranks in order of importance to the President-elect and Congress when considering business tax reform, international tax reform and repatriation of money overseas and individual tax reform. Also to be considered is the optics of the estate tax repeal when the President and proposed members of his cabinet are billionaires whose families will benefit significantly of estate tax repeal. As Ronald Aucutt noted, the repeal of the estate tax would require political capital that may be needed to be used elsewhere to pass tax reform. The Republicans will want to try to have some Democratic votes on the tax reform legislation as not to have the same appearance when the Democrats had no Republican votes when the Affordable Care Act was enacted. To have the votes of the Democrats, will estate tax repeal be excluded from the tax reform legislation? We will need to wait and see. Estate tax repeal is tied to the basis of assets at the death of the individual. If step-up in basis is eliminated for all estates, will that create a death tax to be imposed on significantly more individuals then the current estate tax? A portion of President-elect Trump’s constituency were the old Regan Democrats in the Rust Belt that felt that the political environment in Washington was not in their best interest and contributed to the income inequality in the country. How will these voters feel with the estate tax repeal to benefit only the very wealthy and actually create a new death tax if there is no step-up in basis? So then what should individuals do in preparing their estate plans? It is expected that the Republicans would want to pass tax reform legislation before the August recess. As such, most individuals should wait and see if estate tax repeal is included in the tax reform legislation. Estate documents should be drafted to be as flexible as possible, including marital “QTIP” trusts that will or will not be elected depending on the estate tax law at the time of the individuals passing. If individuals want to make transfers to shift appreciation from their estate, these individuals should only consider those estate freeze techniques that do not trigger a gift tax such as GRATs or sales to Defective Grantor Trusts. These transfers should include formula clauses to prevent the imposition of a gift tax in case of a challenge to the valuation of the transfer. Well that’s all for today! 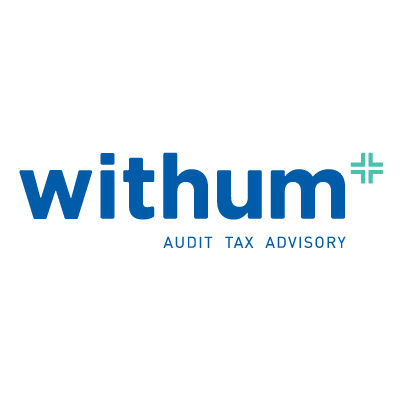 More commentary to come from the other Withum Estate Tax Partners attending the conference, stay tuned.